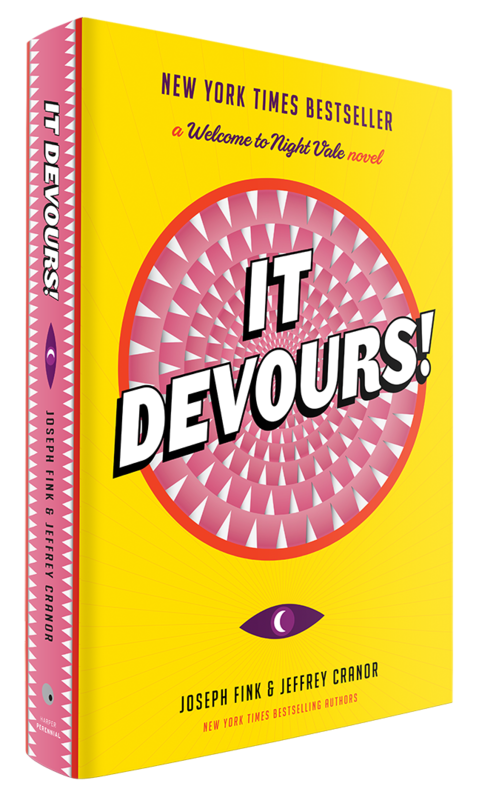 Novels: Welcome to Night Vale | It Devours! The next two volumes of the Welcome to Night Vale Episode Collections! The Buying of Lot 37 features the episodes from year three of the podcast, the script to “The Librarian,” and a foreword by recording artist and author Dessa. Who’s a Good Boy? features the episodes from year four, the script to the live show “The Investigators,” and a foreword by bestselling illustrator and author Jonny Sun. Both include behind-the-scenes commentary by the authors, cast members, and supporters, along with beautiful original illustrations by Jessica Hayworth accompanying each episode. Pre-order signed copies of Volumes 3 & 4 from Mysterious Galaxy Books today! Deadline to order is April 25 at 7PM PT. It Devours! is on sale now in hardcover, paperback, e-book, CD, and digital audio. 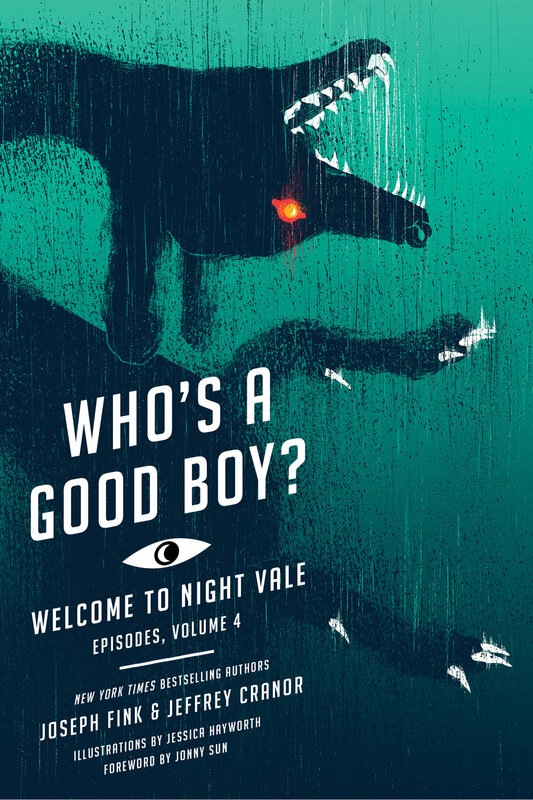 From the authors of the New York Times bestselling novel Welcome to Night Vale and the creators of the #1 international podcast of the same name, come the collections of episodes from Volumes One and Two of their hit podcast, featuring introductions by the authors, behind-the-scenes commentary, and original illustrations. Mostly Void, Partially Stars and The Great Glowing Coils of the Universe are absolute must-haves whether you’re a fan of the podcast or discovering for the first time the wonderful world of Night Vale. Available now in hardcover, paperback, e-book, CD, and digital audio. The vinyl edition is performed by Joseph Fink, Jeffrey Cranor, Cecil Baldwin, Dylan Marron, Retta, Thérèse Plummer, and Dan Bittner and features excerpts from the Welcome to Night Vale audiobook, commentary from Joseph Fink, Jeffrey Cranor, and Cecil Baldwin, “flypaper” sleeve, purple record, and a full length digital audio download of the Welcome to Night Vale audiobook powered by Libro.fm.